Bosch 0445010075. Renault trafic Vauxhall vivaro 1.9 dci fuel pump from running engine. PART NUMBER = 0445010138 BOSCH. Bosch fuel diesel pump. Engine code z13dt/h/j. FULLY TESTED ON THE VEHICLE IN PERFECT WORKING ORDER. PART NUMBER = 0 470 004 004. Receive it within 48 hours from order! 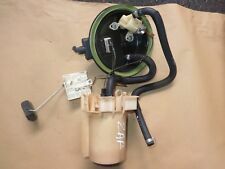 Bosch HP Diesel Fuel Pump Part no. 0445010086. Vauxhall Astra H 1.7 CDTI Z17DTH Bosch Diesel HP Fuel Pump Complete with Sprocket in used condition, removed from a 2010 Diesel vehicle we are currently breaking. I bought this pump as mine was leaking but then the gearbox went before I had chance to fit so it’s up for sale as no longer needed! See pics for details number etc is on there! Thanks for looking! Zafira B High Pressure Fuel Injection Pump 1.9 Diesel 0445010155. Condition is Used. Dispatched with Hermes tracked. Genuine Vauxhall. Diesel Fuel Pump. Combo C (01-11). This will fit the following vehicles:-. PART OF IRELAND OR CHANNEL ISLANDS AND EXCLUDES THE. as All parts are off a UK Right hand Drive Car. PART FROM OR FOR., PA60-78, PH17-26, PH30-44, ZE, BT, IM, TR21-25. until after the sale. Vauxhall Part Number: 93181022. 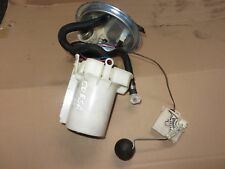 GENUINE Vauxhall 1.3, 1.9 IN TANK ELECTRONIC FUEL PUMP COMPLETE WITH FUEL SENDER. Genuine Vauxhall. Fuel Pump Assembly / Feed Unit. ALL DIESEL MODELS. In Tank - with Gauge Sender. OPENING HOURS. fits manual and automatic. 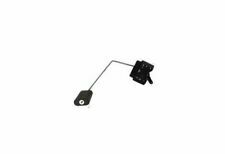 PART NUMBER: 93189593 13327783 -. VAUXHALL CORSA D HATCH & VAN (2006 - 2014). GENUINE VAUXHALL PART. 1.0 1.2 1.4 FUEL PUMP & SENDER -. In tank diesel fuel pump tan colour not the white one. New geniune vauxhall pump part number 13596933 for diesel insignia 2013 on. Vauxhall Zafira 2.0dti, 2004reg, Diesel Pump . VAUXHALL COMBO 1.7 CDTI. FUEL INJECTION PUMP. REMOVED FROM A COMBO 2008. AB, BT, HS,JE,KA, KW, PA, IM, IV, ZE. Fits 1.9 DCI diesel only. FUEL INJECTORS PUMP 8200690744. 2008 VAUXHALL VIVARO. I'M TRYING TO GIVE AS MUCH INFORMATION AS I CAN. GOOD CONDITION. UK MAIN LAND ONLY ! Engine Code - 1.3 CDTI Diesel -Z13DTJ. The donor vehicle is currently being dismantled due to an engine misfire. The cylinder head was removed to find a piston pitted from a previously failed injector. For Sale is a 2009 VAUXHALL VIVARO 1995cc Diesel In Tank Fuel Pump Sender Unit. Part Number: 93161785. Please see item description for more information, you will receive everything you see in the images. PART NO: 12673450. - VAUXHALL / OPEL CORSA E ASTRA K MOKKA ADAM 1.0T FUEL. 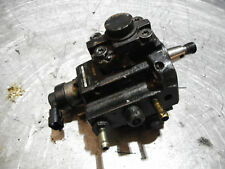 1.0T FUEL INJECTION PUMP WILL FIT VAUXHALL MODELS 1.0T FUEL INJECTION PUMP. - We test all car parts before removing them for sale. 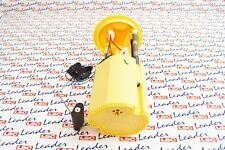 VAUXHALL VIVARO RENAULT TRAFIC 1.9DCI 2006 HIGH PRESSURE FUEL PUMP. YOU ARE BUYING A HIGH PRESSURE FUEL PUMP REMOVED FROM A VAUXHALL VIVARO 2006 1.9DCI. Northern Ireland, Scottish Highlands, Scottish Isles, Channel Islands, Isle of man, Isle of White. 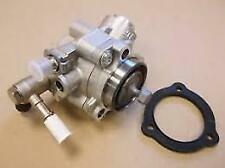 2001 VAUXHALL ASTRA / CORSA C 1.7 DTI HIGH PRESSURE FUEL PUMP. REMOVED FROM A 2001 1.7 DTI ASTRA. CHANNEL ISLES. VEHICLE DISMANTLERS. CREDIT / DEBIT CARD. ISLE OF MAN. SCOTTISH ISLES. SCOTTISH HIGHLAND. 2011 VAUXHALL ASTRA MK6 J 1.7 CDTI FUEL INJECTORS PUMP. Vauxhall Vectra 2.0 DTI sal o on. This sale is for the genuineVauxhall Bosch high pressure diesel fuel pump as pictured and taken from the vehicle listed below. The part was checked before and after careful removal from a running vehicle and found to be in good working condition if a little dirty. New genuine GM Vauxhall part 93187096. - 93187096 (ident DJ). Vauxhall Zafira B. Opel Zafira B. 2.2 Petrol Engine. Fuel Pump & Sender unit that fits into the fuel tank. All parts are marked for identification purposes. We are a long established vehicle dismantler with over 25 years experience in vehicle dismantling. Removed from: VAUXHALL ANTARA 2.0 CDTI 5 SPEED MANUAL 2008. Oban - PH 33, PA20-49, PA60-80, KA28. Inverness - ALL. Shetland ZE1-3. Orkney KW15-17. (for orders sent via TNT, DPD or Palletways). (We cannot be held responsible if the item does not fit your vehicle. 2) Fault or failure of an ancillary component, for example a radiator, timing belt, water pump, fuel injection system, turbo, coolant, gasket, hoses, etc. PUMP/SENDER UNIT ONLY - DOES NOT INCLUDE TANK. VEHICLE REF: BG56. THIS DOES NOT INCLUDE NI, ROI, HIGHLANDS OR OFFSHORE ISLANDS. PART NUMBER: 9227848. VAUXHALL CORSA C, TIGRA B 1.0, 1.2, 1.4, 1.8 -. PETROL FUEL PUMP COVER INC VALVE -. GENUINE GM PART -. Why Buy From Us?. 0445010193, 55571005. VAUXHALL INSIGNIA 2.0 CDTi ELITE 2008-2013 HIGH PRESSURE FUEL PUMP. MODEL: INSIGNIA ELITE 2.0 CDTI. MAKE: VAUXHALL. All our used parts are in good condition and are tested prior to dispatch. PART NUMBER:0445010086. COLLECTION IS ALWAYS AVAILABLE. Based inWest Yorkshire, Dewsbury our motto is to provide 'Service Excellence as Standard'. 2003 VAUXHALL VECTRA. This has been taken from a 2003 VECTRA but may suit other models. Model: VECTRA Door Plan: 5 Door. Make: VAUXHALL Transmission: 5 Speed Manual. Year: 2003 Fuel Type: Diesel. Injector Pump (High Pressure). ENGINE CODE: A20DTH. FITTED WITH A 2.0 CDTI A20DTH DIESEL ENGINE WITH A. 2.0 CDTI DIESEL. VAUXHALL INSIGNIA. REMOVED FROM A 2009 VAUXHALL INSIGNIA SE. HIGH PRESSURE FUEL PUMP. SIX SPEED GEARBOX. 2008 - 2011. (VAUXHALL ASTRA / COMBO 1.7 DIESEL FUEL PUMP. IRELAND AND CHANNEL. 2) Fault or failure of an ancillary component, for example a radiator, timing belt, water pump, fuel injection system, turbo, coolant, gasket, hoses, etc.